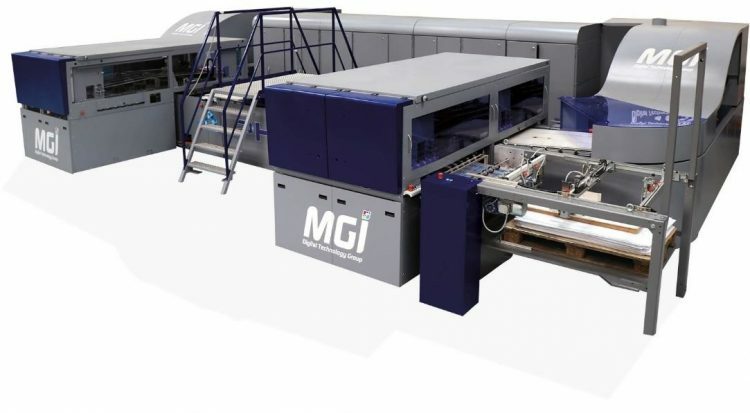 SAN DIEGO - November 27, 2018 - Memjet has announced that MGI Digital Technology, a manufacturer of digital printing presses and finishing solutions, has integrated Memjet’s DuraLink printing technology into its new AlphaJET B1 Inkjet Printing and Embellishment press. This is the first 40-plus-inch sheetfed press to integrate the DuraLink inkjet printheads, ink and modules. It is also the first five-color digital printing system to offer decorative special effects such as 2D/3D UV dimensional textures and variable embossed foil. MGI is previewing the AlphaJET this week at the All4Pack Exhibition in Paris. The AlphaJET consolidates the functionality of traditionally separate, disconnected operational workflows such as primer coating, printing and embellishment and converting them into a single, combined “All-in-One” Industrial Print Factory for complete job management. The AlphaJET utilizes the new Memjet DuraLink ink, modules and printheads for CMYK color impressions with 1,600 dpi resolution. 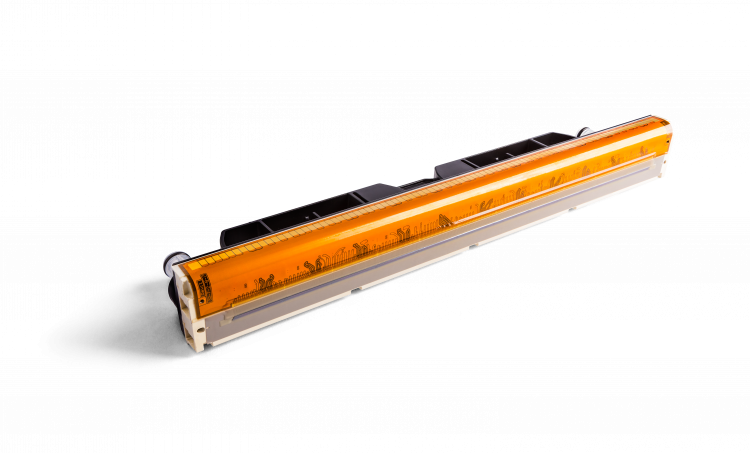 The white and clear varnish inks use UV inkjet technology for a revolutionary best-of-breed convergence of digital-printing methods. This powerful array of high-speed ink deposition processes allows the AlphaJET to both print and embellish corrugated flute board, paper, plastic and synthetic substrates at 1,800 B1 sheets (70.7 x 100cm/28 x 40”) per hour.